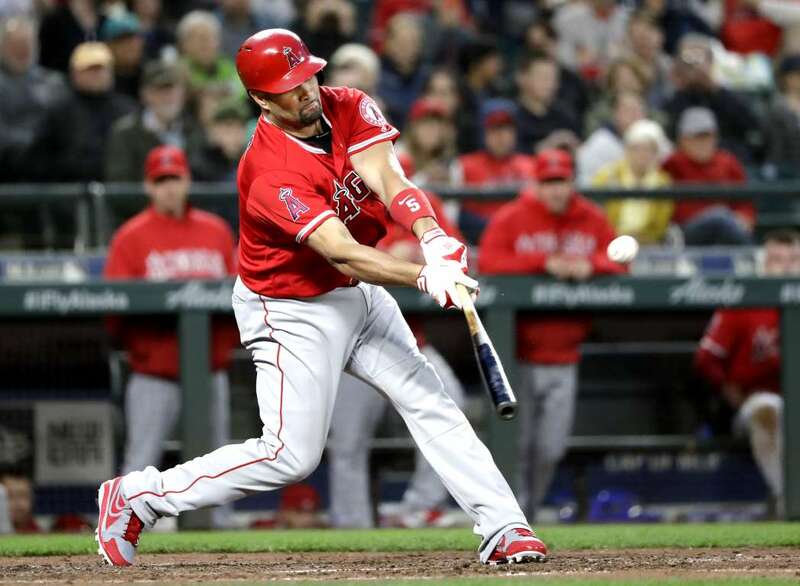 The Angels', Albert Pujols, singles against the Mariners, on Friday in Seattle. The hit was his 3,000th career hit. The Angels won 5-0.